These small mailboxes meet all these requirements: Cheap, light, strong and efficient. The folding method of the post box is a so-called Fefco0247 principle. 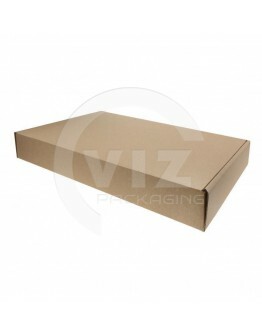 Fefco is a worldwide standardized standard for folding boxes. 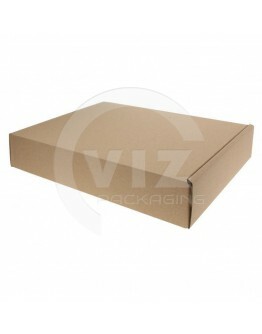 This beautiful box construction combines a fast, efficient folding method with a very strong construction. Closing and opening the box is extremely fast and smooth. No tape or strapping is required to close the mail boxes so that they do not accidentally pop open during transport. Incidentally, this is probably recommended from theft considerations, depending on the product value. In closed condition, this construction has the additional advantage that the side walls provide extra buffering because there are no less than 3 layers of corrugated cardboard at the front, 2 layers at the front. 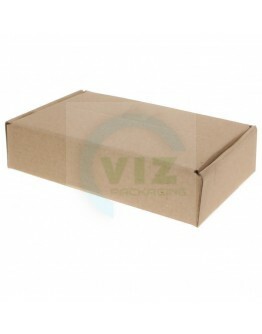 A weak and vulnerable point in many shipping boxes are the corners. There they will usually start damaging the impact first. This box has no problems because the most cardboard material is in the corners. For many products this is sufficient to not have to add extra padding or buffer material such as chips or air bags in the packaging. 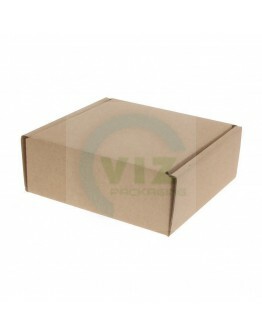 Boxes that are offered for parcel shipping must be strong in the first place. 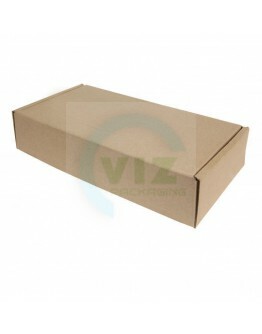 In addition, the weight of shipping boxes can play a role in postage costs. 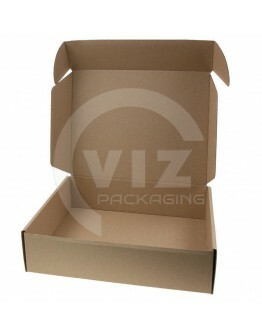 It is also useful when a box for packaging can be quickly set up, filled and closed again. After all, you want to achieve the most efficient logistics process with as little delay as possible. Of course, the mail boxes must also be low in price to keep the total costs for shipments within bounds. Good news: You will probably not find cheaper post boxes anywhere else than here with the same high quality. Certainly if you are a large-scale consumer, for example a fulfillment company or large online store, you can achieve a huge financial advantage! The micro-corrugated cardboard used is of a very stiff, strong quality in relation to the thickness and weight of the material. 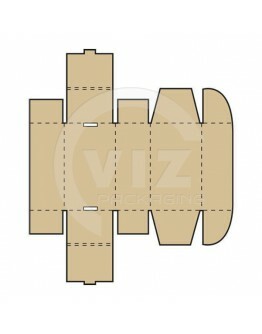 The sizes are tailored to the standard standard formats. This "postbox" series consists of 7 handy formats. Note: These are not letterbox boxes, for that we have a different series. Extra padding due smart folding construction. Boxes that are offered for parcel shipping must be str..
Fefco 0247 combines a fast, efficient folding method with a very strong construction. Purchase per 2.. 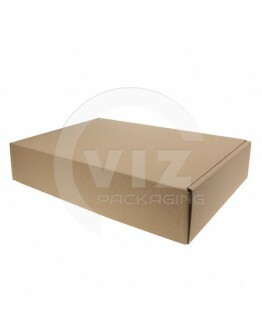 Boxes that are offered for parcel shipping must be strong in the first place. In addition, the weigh..
Vanaf €0,20 per stuk. Fefco 0427, ruim A5 formaat..